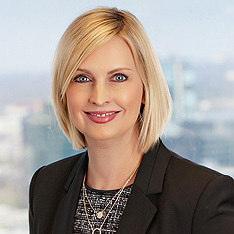 Pam Williams joined DeHay & Elliston, L.L.P. in February 2006. Ms. Williams’ practice focuses primarily on toxic tort and products liability litigation. Before joining the firm, Ms. Williams was a partner at Adams & Coffey from 1994-2004 and at Spain Hastings Ward & Williams from 2004-2006, where she practiced principally in the area of products liability litigation. After graduating from Baylor University in 1990 with a Bachelor of Arts degree in Spanish, Ms. Williams attended the South Texas College of Law, where she obtained her Juris Doctorate in 1994. Ms. Williams is a volunteer attorney with the Dallas Volunteer Attorney Program and is a member of Texas Association of Defense Counsel, Defense Research Institute, Texas Bar Association, and Dallas Bar Association.